At least she is self-loading. I looked at your coyote pics on flickr. 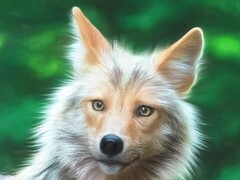 They are all nice, but the last coyote photo is very unusual. (The one with the long fur and in the middle of a yawn / howl). Now that's a cute little bear. So where did they need a ride to? She likes to browse the dumpsters in town!